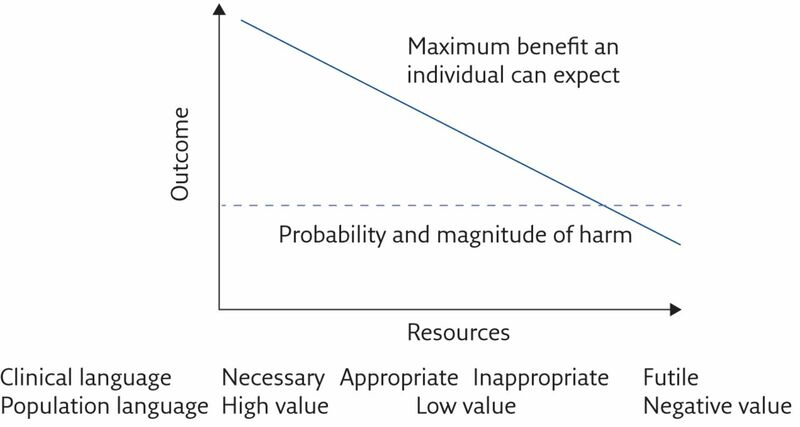 The value of a medical intervention (x-axis) in relation to the diminishing potential for benefit from a “curative” medical intervention that is offered during the last days/weeks/months of life. Note the unchanging probability and magnitude of harm. First created by Avedis Donabedian (1919–2000). Reproduced from  with permission.